The recent report from the US Bureau of Reclamation on the economic feasibility of raising Shasta Dam illustrates that we are in a new era for considering water infrastructure management in California. 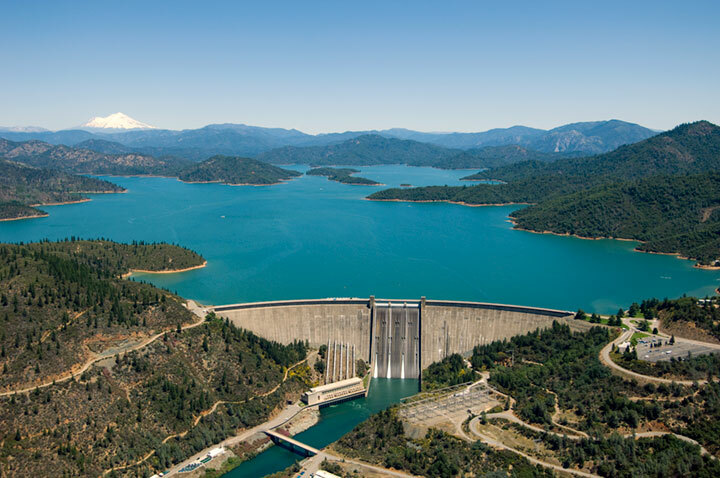 This study, perhaps a decade or more in the making and costing millions of dollars, examined the economic feasibility of expanding a single facility (Shasta Dam) which is a modest part of a very large, complex, and changing water system serving many purposes. The study found that the most economical expansion was about 14% (634,000 acre-ft), costing $1.1 billion dollars, roughly $1,700 per acre-ft of storage capacity. This would expand statewide surface storage capacity by 1.5%, although water storage capacity is not equal to water deliveries. This expansion produces an additional 76,000 acre-ft of firm yield (dry year deliveries). This is less than 0.2% of agricultural and urban water use in California. (Modern water engineers will wonder why the antiquated firm yield is still the main water supply indicator.) Average annual deliveries increase by only 63,000 acre-ft. Other traditional benefits (hydropower, recreation, flood reduction) were small. Most water supply benefits are for users south of the Sacramento-San Joaquin Delta, implying that Delta export capability is needed to deliver this amount of water. If the Delta doesn’t work, then this surface storage expansion for water supply doesn’t work. More than half of the estimated economic benefits are from expansion of the cold water pool needed to support cold water habitat for winter run Chinook salmon, valuing salmon smolt at $50 each. Ironically, winter run Chinook salmon need cold water below Shasta Dam because Shasta Dam prevents salmon from reaching the cold water streams where they naturally spawned and reared. Because fish benefits are most of the project’s benefits, the report proposes that the public pay for these benefits, approximately $654 million or $31 million/year. Essentially, the fish benefits buy back some of the cold water lost when Shasta Dam was built in 1944. If we had $654 million for winter run salmon recovery, would this be the best investment for these fish? This more relevant question is not asked. New major water projects are increasingly justified based on recovering fish and environmental benefits lost through construction of previous projects. Yet we are not seriously studying what would be the best investment portfolio for fish and the environment. We are still trying to justify individual projects rather than trying to find the best portfolio of activities to accomplish objectives, particularly environmental objectives. This approach is backwards, and ineffective. Independent single-facility studies of improvements to a complex system are expensive and time-consuming, and distract us from addressing greater system-wide problems. If we continue to study this complex system incrementally, money and time will be spent without substantial improvements or strategic direction. California’s water system increasingly functions with integrated, diverse, and often geographically decentralized portfolios of actions. Most major water agencies employ a mix of traditional water supply actions, water conservation actions, conjunctive use of ground and surface water, and water market or transfer agreements. We cannot capture or take advantage of these complexities with single-project studies. Indeed, single-project studies for the main system can be misleading. California’s state and federal water agencies are not well equipped technically to do system studies to identify promising improvements in infrastructure for such complex systems with many interacting parts and objectives. It has never been easy to conduct systematic analysis of water management opportunities in California. Only at times of desperation or unusual reflection has this been possible (Pisani 1984; Kelley 1989). Such studies always have controversial and thought-provoking conclusions. Overall, California’s water system functions in ways fundamentally different from how the major state and federal agencies conceive their major water supply system and planning investigations. This causes many state and federal planning studies to be ineffective, costly, prolonged, and distracting of public attention, rather than insightful and useful. At the local level, many water districts and agencies are doing a far better job of developing integrated portfolios of diverse and often decentralized actions to satisfy multiple objectives. Similar, but more difficult, analysis at state and regional levels will provide thought-provoking insights for both water and environmental management. Lund, J. 2011. “Water Storage in California,” CaliforniaWaterBlog.com, posted September 13, 2011. This entry was posted in California Water, Economy, Fish, Planning and Management, Restoration, Water Supply and Wastewater and tagged California, fish migration, Jay Lund, UC Davis Center for Watershed Sciences, water management, water planning, water supply. Bookmark the permalink.